Our new Mailbox, a shotshell, at the driveway entrance of the Powder House. Thanks to my son and friend, Tony Saralegui and Mitch Mauk, for putting this up. 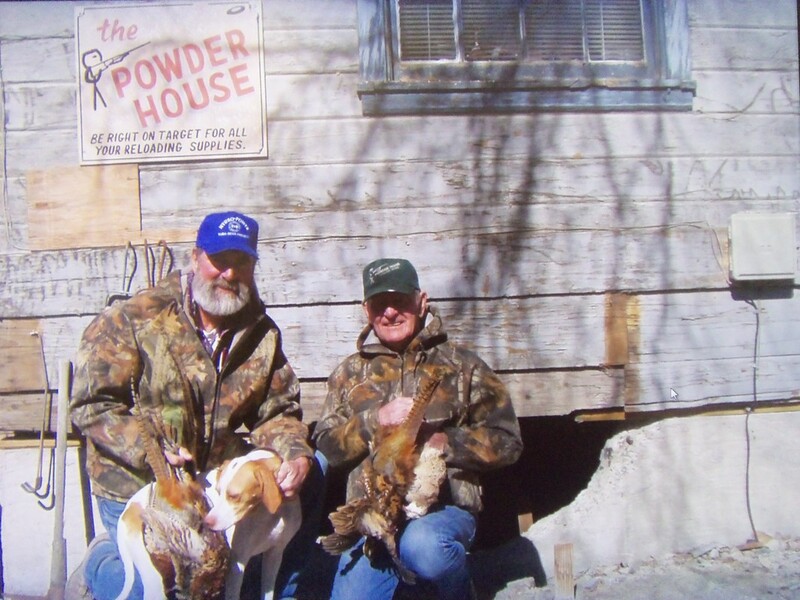 Powder House will close at 1 p.m. tomorrow, Friday, April 19th to get ready for our Friends of the NRA Lovelock event tomorrow at 5:30 p.m. POWDER HOUSE will be CLOSED regularly on Sundays and Mondays, if here will serve, if coming in from out of town, call 775-273-2709 so you are not disappointed. FRIENDS of NRA - LOVELOCK NV annual banquet Friday, April 19th. (See the NRA page for event package information). Through the month of April all cleaning and lubricating supplies 10% off, as well as reloading components. Keep those firearms clean and they will be easier to shoot and more dependable. This also includes bore snakes. Due to appointments, please call before coming out. Powder House will OPEN if possible. Look for the sign, if it is ON, all is good. COME on IN. 775-273-2709. If here Sunday afternoon will OPEN even if sign is not on, give me a minute to come out of house, can call. ​Feeling thankful for every customer or friend of the Powder House that calls or walks through the door. We are OPEN Tuesday through Saturday from 9 to 5 but can work with you on your days and hours if you can't meet ours. If you call before 5, often I will stay open for you, if I know you are coming. Call us at 775-273-2709. PLEASE NOTE: We do not do plastic. EXCEPTIONS: Some days we must be closed. If traveling into us from out of town, please call 775-273-2709, to check if store is open.